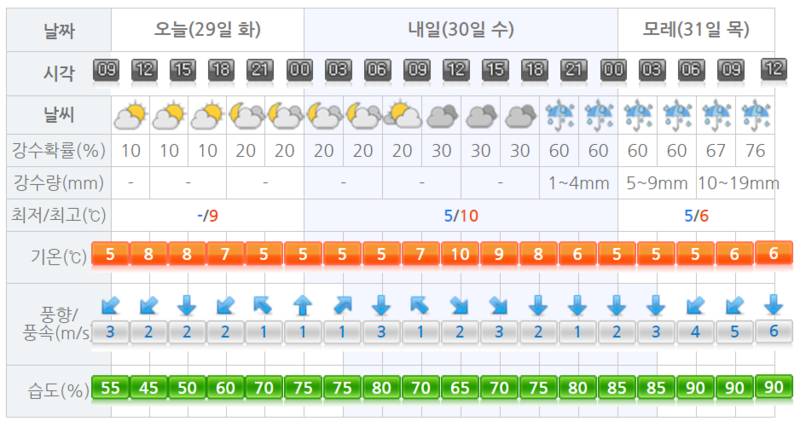 * Please check the link: http://air.jeju.go.kr/index.htm and attached images for fine dust throughout the day. * Sunrise will be at 7:32 a.m. and sunset will be at 6:02 p.m.
* There are TWO guided walks on the trail. Hwang Jeong-tae will be leading 9 pre-registered walkers on Route 3-B. 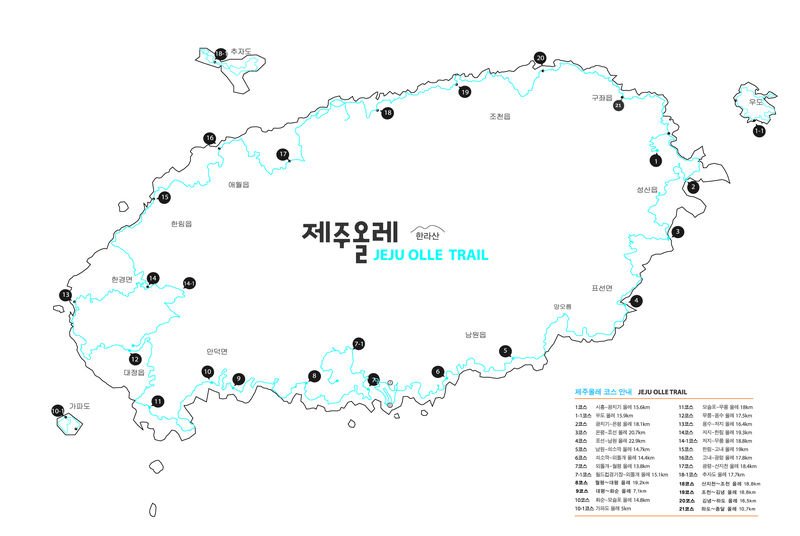 Kang Jin-cheol will be with 4 pre-registered walkers on Route 16 (reverse start). 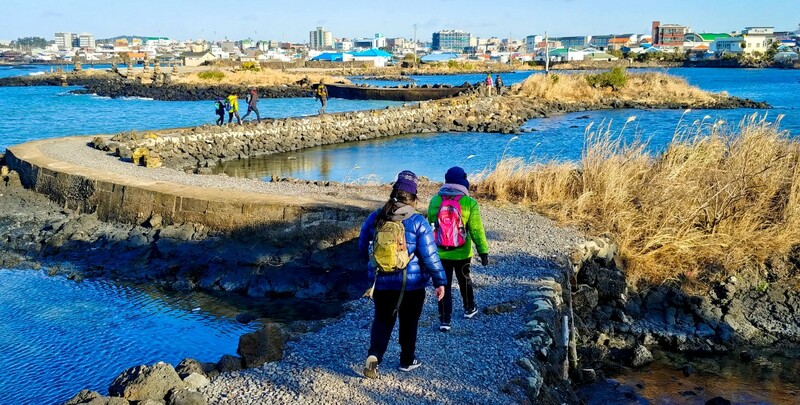 * Today’s Olle Image: ‘Almost there!’ Walkers head into Jocheon and the end of Route 18 on Saturday. By Lee Seong-gwan.